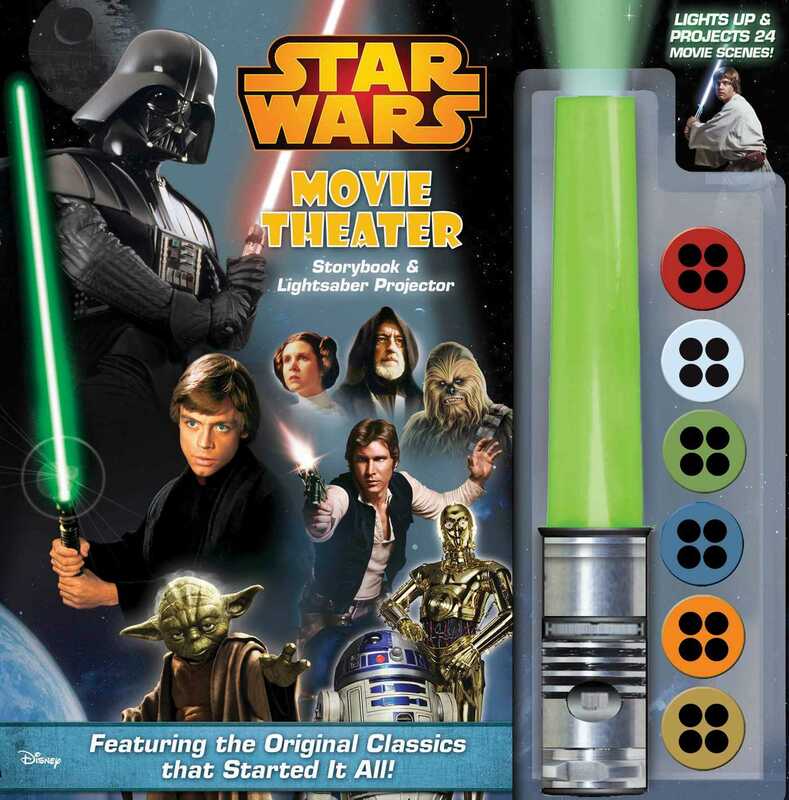 Based on the classic Star Wars trilogy, this lightsaber projector brings classic characters and scenes from the Star Wars saga to the wildly popular Movie Theater Storybook format. The original classics Star Wars: A New Hope; The Empire Strikes Back; and Return of the Jedi are all retold here in this special movie theater storybook that features a movie image projector. Just untwist the base to view 24 exciting scenes as the stories unfold from a long time ago in a galaxy far, far away.... The Force will be with you, always.